Aya Kiguchi is so charming.I pick her on top of my girls list the things that made her look great is not only allure poses or open dress that show many skin and her nice shape but I think it;s is in her eyes when she look at me.I feel chaos.Did you feel that? 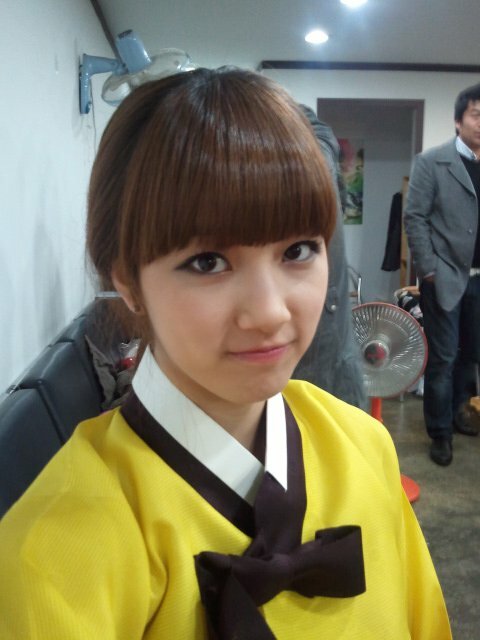 Bae Su Ji or Suzy is the youngest member of Korea popular girl group Miss A. Don't look at her young age, she is only 17, but she has already has a mature body and hot figure. Why korea girls are really fast to be mature ? As a newcomer in Korea entertainment, Suzy popularity is quite quickly risen up. Suzy even got a lead actress for Korean Drama Dream High. Suzy starred in "Dream High" as the main character Go Hye Mi with 2PM's Taecyeon, 2PM's Wooyoung, IU (singer), T-ara's Eunjung and actor Kim Soo Hyun. It seems that Girl Group missA really bounced up Suzy's name. As a new group, missA has a good reputation so far. The group debut album Bad Girl Good Girl has become very popular, topping various online charts. Last year, KARA's Goo Hara shocked many with her tiny waist, earning her the nickname of "ant-waist." Although this is no competition, miss A Suzy's tiny waist has also attracted a lot of attention. Recently, a picture of the maknae with a bare midriff was uploaded online. While Suzy looks adorable in her checkered button-up and khaki skirt, her waist size has gotten much attention. Regarding her tiny waist, netizens said, "You are really skinny and pretty. So this must be an ant-waist", "What do you eat… to be this skinny? ", and "Tell us your secret of how you got that body." Suzy's waist is definitely comparable to Goo Hara's ant-waist. Anyway, they both look fabulous! On March 19th, KBS's "Entertainment Relay" went behind-the-scenes of miss A's Suzy's latest photoshoot and interviewed her on "Dream High" and her recent weight gain. Asked by the reporter how she felt kissing 2PM's Taecyeon in "Dream High," she replied, "Honestly, it was kind of awkward because we weren't that close yet. Although the scene aired in the 9th or 10th episode, it was filmed earlier on. It was very… awkward." The reporter continued, "I heard you got a new nickname, do you know what it is?" Suzy shook her head, leading the reporter to answer, "'Chubby Suzy.' Reports said that it was because you had to take herbal medicine during your drama filming." Suzy answered, "Yes, I saw those reports too, but it wasn't because of the medicine. My busy schedule made me bloat and I didn't have a lot of time to exercise, which is probably what led to my weight gain. I didn't gain it on purpose (laughter)." Appropriate for Japan that has elegant girl for the world.Like this girl Nana Tanimura the J pop singer and sometimes model.I ever see her dance on the floor and I think this girl quite has very good talent.And deserve to be popular in Japan.